As we all know, getting your hair to grow to long lengths isn’t always an easy feat. While your hair DOES grow, if you don’t retain most of what has grown (yes, there’s always some breakage), you will be wondering if it’s growing at all. For those of us with fine hair, the quest to obtain long luxurious locks is even more challenging. (So not fair. I know right!) Natural hair that’s fine has yet another roadblock to growing long. 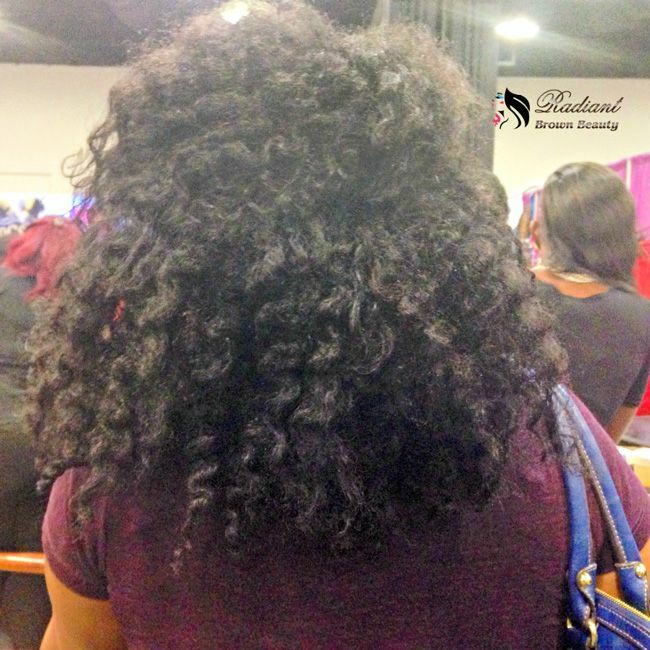 For every twist and groove along our natural hair strand (the curliness), there’s an opportunity for breakage. At least our straight, fine hair sisters don’t have that part to worry about. As a fine haired natural for over 10 years, I believe I’ve picked up some tips along the journey that I’d like to share with fine hair ladies like myself who want long hair. That’s not to say I know it all. I just know what I know…what I discovered works for hair like mine. It took some trial and error but here are the tips I believe will help my fine hair sisters maintain more of their hard earned length. You CAN wear your hair out. Whaaaat? Yup. You heard me, girl. Your hair growth journey doesn’t have to be about socking your hair away every single day until you get to your desired length. Instead, when you wear your hair out, you need to be diligent about protecting it. Your twist outs, braid outs, loose curls etc. will be rubbing on your clothing and can certainly cause breakage from the friction. This can be x2 when you are commuting to wherever you are going on a given day. Therefore, consider putting your hair up until you get to your destination. Large claw clips work really well at clipping your hair up and off of your shoulders. Then, when you get to your destination you can release the clip, shake and be fabulous. Keep that claw clip handy for putting it up throughout the day. This is nothing new to you I’m sure. You’ve heard about protective styling and low manipulation styling. However, the key I’ve found is you can protective style til the cows come home (I’m a city girl. Not sure where that came from lol), but if you have to do a lot of manipulating to get that protective style in place, it will cause your fine hair more breakage than length retention. I learned this the hard way with mini twists. 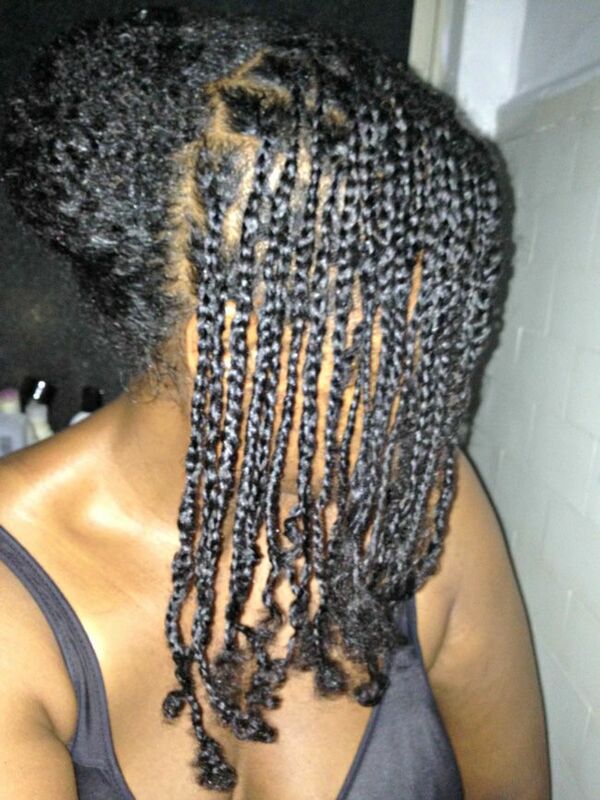 Mini twists are NOT for everyone. The finer your hair, the more susceptible it will be to breaking when it’s time to take those twists out. Instead, opt for medium sized twists. They are a lot easier to manage and require much less manipulation. If you are going to do a protective style, opt for shorter term styles. The longer you leave a style in your hair, when it’s time to take it down and out, there’s more of a chance for breakage due to webbing of the new growth that now needs to be detangled. 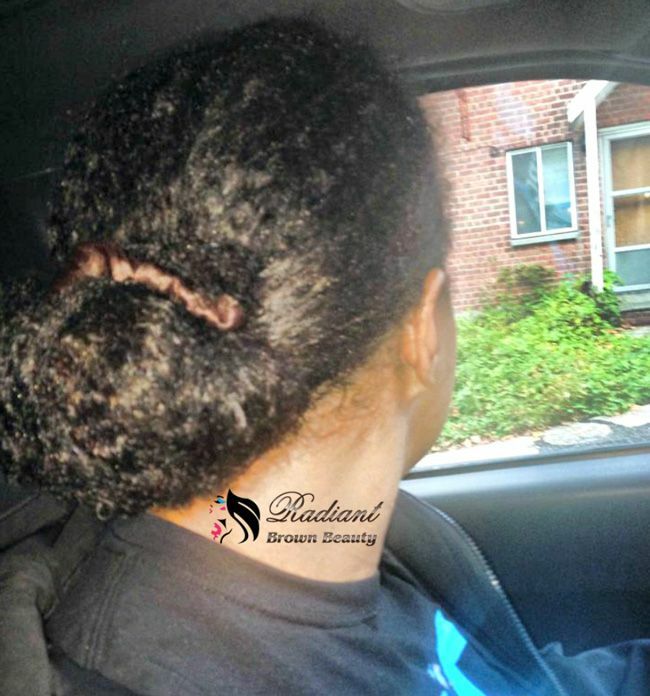 Even if you wear braids, when your new growth starts coming in there is some tangling. Keep your protective style in for 2 weeks max. Fine hair doesn’t like to be bound up much longer than that. After a few times wearing my natural hair in braids, I realized that I was causing breakage when it was time to take them out. I was doing too much to unbraid. I would use my fingers to try and unbraid and then had to use my rat tail comb to help. So, now what I do is when I get to about a 1/2 inch of hair down the braid, I twist the remainder of the hair. When it’s time to remove your braids, you’ll find it much easier and a lot less manipulating to your hair, when you just have to untwist your ends vs. unbraiding them. Still thinking of protective styling (and this is my final word on the subject…promise). Buns are a fine haired chica’s best friend in the protective styling department. Buns require very little manipulation to do and you don’t even need to thoroughly detangle your hair to bun (save full detangling sessions for wash day). *As I was writing this article, I realized that it was getting to be quite lengthy and you know how y’all get ADD online, lol! Part two will be up later and will delve more into the care of your hair. We strictly covered the styling part today. Fine hair curlies check-in! What styles do you lean on to protect your delicate strands? This article was written by RadiantBrownBeauty for CurlyNikki.